To reduce the visible signs of aging, often caused by stress, environmental factors, and lifestyle choices, Dr. David Zweiback offers Restylane®, an injectable filler that can smooth lines and wrinkles and add a supple quality to the skin. At our Philadelphia, PA practice, we offer a variety of dermal fillers in the Restylane family, including Restylane Perlane and Restylane SubQ, which address unique areas of the face. These gels can be used alone or in combination with other cosmetic treatments to add volume to cheeks, reduce smile lines, and subtly enhance thin lips. 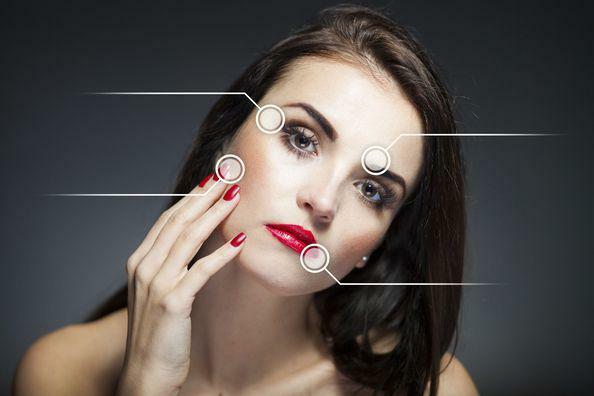 Restylane injections can add volume to areas around the eyes, forehead, cheeks, and lips. Restylane is made from hyaluronic acid, a naturally occurring material found in the body. When injected below the surface of the skin, this gel attracts and holds moisture, making skin appear plump and revitalized. Compared to JUVÉDERM®, Restylane has a more cohesive consistency and granular texture, so it is easier to manipulate into proper position. Dr. Zweiback can review your medical history and cosmetic goals to determine if this cosmetic treatment is right for you. Restylane: This dermal filler is designed to target fine lines and tiny crevices on the forehead and around the lips and eyes. Restylane Perlane: This option can fill in deep wrinkles and facial folds around the nose and mouth, as well as reduce frown lines in between the eyes. Restylane SubQ: This gel is injected deep below the surface of the skin and can provide a facelift effect without the need for invasive surgery. Restylane SubQ is designed to add volume to fallen and sunken cheeks, as well as create a more defined chin and jawline. Restylane fillers can last anywhere from four to six months, but their lifespan can be extended when combined with PRP injections. To help you maintain optimal results, we can create a customized treatment plan, providing touch-up injections when needed. If you decide to proceed with treatment, Dr. Zweiback can apply a topical anesthetic over the target areas and carefully inject Restylane into the underlying tissue. Due to its moldable texture, Dr. Zweiback can then gently massage the filler into proper position until desired results are achieved. This safe and effective treatment can generally be completed in 30 minutes, and you can immediately return to normal activity. It is not uncommon to experience some soreness and redness near the injection sites for the first 24 hours after treatment. However, patients can enjoy results almost immediately. To ensure an optimal outcome, Dr. Zweiback can provide aftercare instructions. It is advisable to minimize sunlight and heat exposure and avoid certain facial rejuvenation treatments. This cosmetic treatment can be combined with other procedures to help you achieve beautiful, youthful looking skin. Dr. Zweiback can review your options during your personalized appointment. At our practice, we provide safe, effective Restylane injections to help restore a fresh look and enhanced volume. This treatment provides a nonsurgical approach to a facelift with little to no downtime, making it an excellent solution for those desiring a younger-looking appearance.To learn more about the benefits of Restylane, contact our office online or call (215) 935-1200 and schedule your consultation with Dr. Zweiback.